Categories: Yogi food | Tags: ginger, lentils, soup, vegan | Permalink. Come and enjoy a playful hour for parents and kids (3-9 years old) to explore yoga together. PS. We will offer Family Yoga once per month starting in January. Save the dates already: 26 January, 23 February, 30 March, 27 April and 25 May 2014. Categories: Yoga info | Tags: family, kids, Sampoorna | Permalink. As a vegan we can get our proteins from a wide variety of sources. For example, I love eating lentils, they can be stored for a long time, are easily digested, fast to prepare, cheap and very yummy! You can use them for soups, dahl, veggie spreads, … Today I made a deliciously creamy soup, with sweet potatoes that add a creamy and (obviously) sweet touch. Thoroughly rinse the lentils in a sieve with cold water (you can save the water to give to your plants). Peel the sweet potato and cut in cubes. Peel the ginger and cut in small cubes. Heat some (coconut) oil in a wok, add the mustard seeds until they ‘pop’, then add the ginger slices and stir fry for a couple of minutes. Add the sweet potato cubes and stir for a bit more, add the lentils and stir everything together, add the spices (except salt) and stir until the spices are well mixed with the lentils and potatoes and you can smell the spices. Add 4 cups of water and bring to boil again. Let it simmer on a low heat for about 15 minutes, until the potatoes are cooked and the lentils fall apart. Take the pan of the furnace and mix the soup till it has a nice creamy texture. You can add more boiling water if you want a less thick soup. Add salt and black pepper to your taste. Enjoy with some fresh cilantro. Tip: the soup will thicken when it gets cold, so if you eat it the day after, you might have to add some more boiling water to get the right consistency (‘right’ = what you like it to be). Heart health – thanks to significant amounts of folate and magnesium. Digestive health – thanks to the fibers. Good protein – of all legumes and nuts, lentils contain the third-highest levels of protein. 26 percent of lentil’s calories are attributed to protein, which makes them a wonderful source of protein for vegetarians and vegans. Categories: Uncategorized | Tags: sweet potato | Permalink. I’m a HUGE fan of kale. When I was living with my parents I used to love to eat kale and mashed potatoes with gravy and sausage. When I became a vegetarian I ate the same dish with a vegetarian sausage and without the gravy. When I became a vegan I discovered there was lots more we can do with kale. Nowadays I’m impatient for the first kale to arrive on the farmer’s market and I juice it, make kale chips, make soup with kale, make stews with kale and recently I discovered kale pesto. 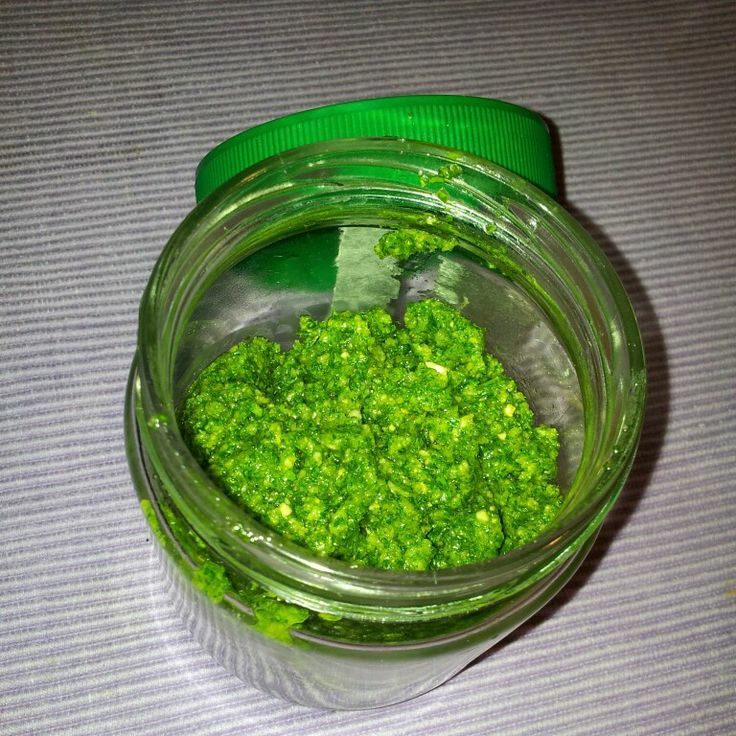 As kale is finally in season again, I bought heaps and did my first kale pesto experiment this morning. I must say I’m pretty pleased with the outcome. However, the result is awesome! Safe it in a jar in the fridge and add some more olive oil to prolong the preservation. Add it on your sandwiches, with pasta, on a salad, with cooked wheat, whatever inspires you. Kale is a Nutritional Powerhouse, it’s also member of the cruciferous family, just like cauliflower. Kale is known to be ‘dirty’, meaning sprayed with pesticides, so buy organic where possible. It helps lower blood cholesterol levels and reduce the risk of heart disease, especially when kale is cooked instead of raw. Discover more vegan kale recipes here, here, here & here. Categories: Yoga info, Yogi food | Tags: kale, pesto, recipe, vegan | Permalink. In the Sivananda ashram there’s often a delicious soup on the menu. One day I tasted the most delicious creamy soup and it turned out to be cauliflower soup, whereas I’m not a big fan of cauliflower! 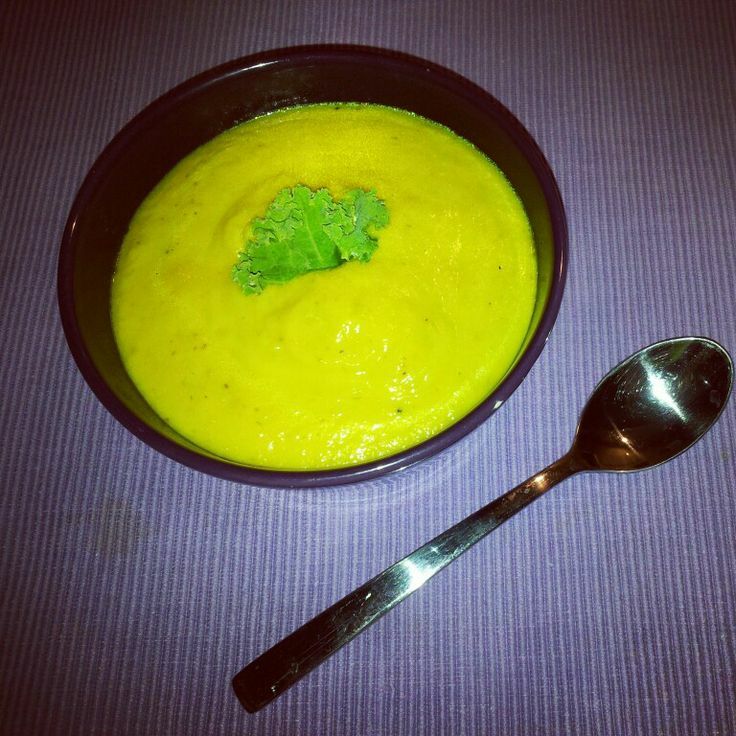 Hence I tried to make my own version (with a little help of the Sivananda Yoga cookbook) of this yummy and very filling soup. Optional (for a thicker soup): 2 to 3 potatoes. Cut the cauliflower in to small florets and keep the stalks too. Melt the coconut oil in a wok or other deep pan. Fry the cumin seeds and mustard seeds until they pop and are fragrant. Add the cauliflower florets and stalks and the turmeric. Keep frying until all the cauliflower is coated with the cumin and mustard seeds and the turmeric. Add the coconut milk and the water (and potatoes if using) and let it simmer for about 15 minutes. Puree the soup until smooth. Season to taste with salt & pepper. 1. Nutritional: it contains many B vitamins, omega-3 fatty acids and vitamin K, it’s a good source of vitamin C as well! More cauliflower recipes here & here. Categories: Yogi food | Tags: cauliflower, recipe, vegan | Permalink.